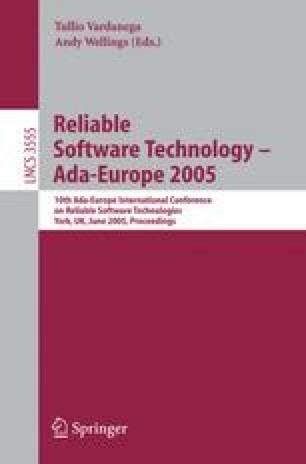 At the University of Stuttgart we performed five major software projects using Ada95 in groups of six to nine third-year students. Since the year 2000, the students have produced more than 180’000 effective lines of Ada95 source code in total and delivered five different graphical tools for the navigation and manipulation of complex data structures. In this paper, we report on our experience with these projects. First, we give a short overview, describe the software engineering curriculum, and introduce the Bauhaus reengineering project as the context of the projects. We summarise the characteristics of the projects and the applied development processes in terms of statistics. Finally, we report on the lessons we learnt when supervising the students and give recommendations for successful software projects with Ada95 in education.